Mortal remains of slain anti-apartheid activists given back to families - SABC News - Breaking news, special reports, world, business, sport coverage of all South African current events. Africa's news leader. The families will now be able to give their relatives a proper burial, closing a painful chapter. 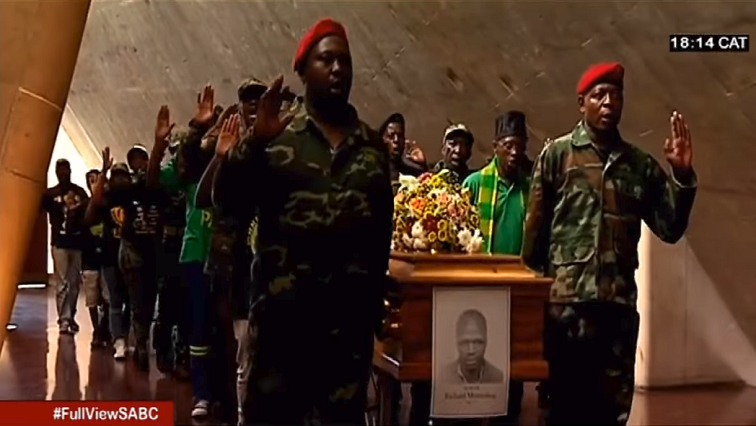 Families of slain anti-apartheid activists have received the mortal remains of their loved ones at Pretoria’s Freedom Park. The remains of the Pan Africanist Congress of Azania (PAC) members known as the “Krugersdorp Four” finally come. They were sentenced to death in 1963 after being convicted of the fatal shooting of a member of the security police. The remains of two others are of African National Congress (ANC) members. Justice Minister Michael Masutha says South Africans from various backgrounds contributed immensely to the struggle for democracy. “Their families gathered here before us have waited decades to be able to recover their remains and to be able to bury them at the place of their choice. They will no longer lie in unmarked graves but will be buried by their families at their homes,” Masutha said. Masutha was speaking during the handing over the exhumed remains of anti-apartheid activists at Freedom Park in Pretoria. The ceremony forms part of the Department’s efforts to implement the recommendations made by the Truth and Reconciliation Commission to bring closure to the families of those whose lives were lost during the apartheid era. Both the PAC and ANC acknowledged the work done. There are still challenges in finding those who disappeared under political circumstances. Masutha says the Gallows Exhumation Project is nearly complete, it’s recovering the remains of those who were hanged. Masutha says the six individuals whose remains were handed over to families, have contribute, in a different ways, to the freedom the country enjoys. This entry was posted on 16 Mar 2019,08:12PM at 8:12 PM and is filed under Politics, News, Homepage Featured Story Slider. You can follow any responses to this entry through the RSS 2.0 feed. Both comments and pings are currently closed.